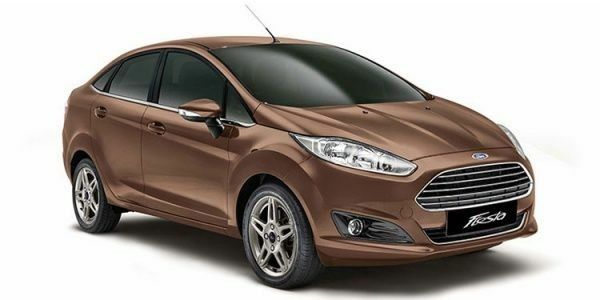 Ford has given the new Fiesta a significant styling update. It now sports a new grille, sleeker head lamps, new alloy wheels and new bumpers front and rear. It also gets puddle lamps. The new Fiesta is, however, only available with a diesel engine and a manual gearbox and is still short on space compared to its rivals. It’s a car worth buying only for its dynamics and styling. We finally bid adieu to the Ford Fiesta, a car we feel is possibly one of the most under rated sedans in this country today. Its been three months since the Ford Fiesta has been with us and after more than a few thousand kilometers we wonder why it doesn't get the recognition it deserves. The 2014 Ford Fiesta joins our long-term fleet and throws up quite a few pleasant surprises. Ford Fiesta ST: In Pictures!